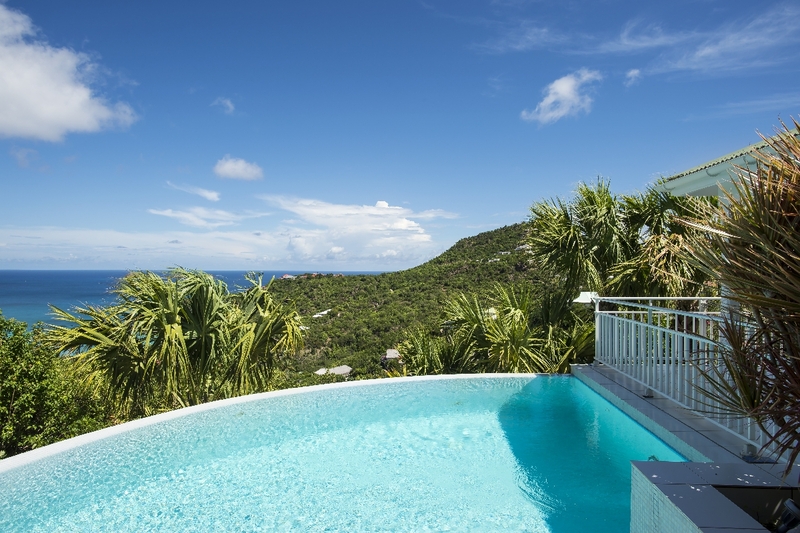 Situated on a hillside, Lataniers Villa has a great view of St. Jean Bay and the surrounding island greenery. Guests of this home will enjoy lots of little perks, like a private pool, fully equipped kitchen, internet access(wifi) and other modern amenities (ipod dock in living room), and lots of privacy. There are 3 bedrooms and 2 bathrooms, making it the perfect size for a family or for two couples traveling together. The beach is just a short drive away, as are groceries and restaurants serving great local dishes. St. Barts is known for great beaches and fun, and Lataniers Villa will give you easy access to both. Great for a family vacation, Lataniers Villa includes a great view of St. Jean Bay. Located hillside in popular St. Jean, Villa Lataniers offers value to its guests. The views from the pool terrace are great, and the villa enjoys lots of privacy yet is close to the center of activity on St. Barth’s. It’s ideal for a family or even two couples. You will enjoy the wonderful view on St Jean Bay. A short drive to Saint Jean Beach.